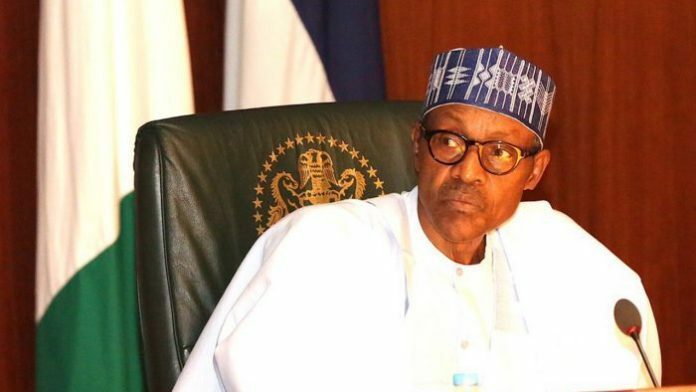 Shareholders under the aegis of Independent Shareholders Association of Nigeria (ISAN) have appealed to President Muhammadu Buhari, not assent to the National Housing Fund (Establishment) Bill 2018 passed by the National Assembly on February 18, 2019, saying it is against the masses. The appeal was contained in a letter to President Buhari and a copy, which was exclusively obtained by THISDAY. The letter was signed by the National Coordinator Emeritus(ISAN), Sunny Nwosu; National Coordinator, Mr. Adeniyi Adebisi and General Secretary, Mr. C.A.C Opara. According to them, the appeal was made on behalf of members of ISAN, including the numerous retail investors in the Nigerian capital market that the association represents. “We also make this appeal on behalf of the ‘Common Man’ whose livelihood would be significantly and adversely affected by the National Housing Fund (Establishment) Bill 2018 passed by the National Assembly on February 18, 2019 and currently awaiting presidential assent,” they said. The shareholders said the bill rightly seeks sustainable means of funding the development of the housing sector in Nigeria and introduced a levy of 2.5 per cent ex-factory price on each locally produced or imported 50 Kg bag of cement for this purpose. “Currently, the retail price of a 50 Kg bag of cement in Nigeria ranges from N2,550 to N3,000 depending on the brand, quality, location, availability and other factors. This price range takes home ownership beyond the reach of most Nigerians and ranks arguably, all told, as one of the highest in the world. “Unfortunately, though well intentioned, the levy would only further drive up prices to no one’s benefit,” they said. The shareholders added that it was inevitable, considering the low level of income of most Nigerians, that though in principle all Nigerians are entitled to do so, only a few contributors would in reality benefit from the Housing Fund to be financed by all. “The predominant role of the Housing Fund to a teeming majority would be to serve as a pension fund whereby they withdraw their contributions after attaining the age of 60 years or 35 years of service. At an interest rate of two per cent per annum in our current economic environment, which has an inflation rate slightly above 11 per cent per annum, the aggregate value of the contributions and interest at the date of withdrawal, in real terms, would be negative. “What then is the benefit of the Housing Fund to low income earners?,” they queried. The shareholders explained that one of the stated aims and objectives of the National Housing Fund was to provide incentives for the capital market to invest in property development. “The provisions of the Bill concerning the capital market are a far cry from this objective. The ‘investment’ required from banks and insurance companies (including newly added Pension Fund Administrators) to the Fund is now 10 per cent of their profit before tax at an interest rate of one per cent above the interest rate payable by banks on current accounts. “The Bill has no provisions on how the interest or returns on the investment are to be accessed, thereby unwittingly making the mandatory ‘investment’ another thinly disguised tax. “This extra financial burden, which is quite significant, is bound to have a negative impact on the market price as well as the returns to shareholders of quoted banks and insurance companies,” they said. Based on the foregoing, ISAN said the Bill should be subjected to a public hearing for robust engagements and consultations with the various concerned stakeholders. “The labour unions, organised private sector, banks, insurance companies, pension fund administrators, mortgage institutions, relevant professional groups, state governments, tax authorities and other interested parties should be involved in the discussions. “Their interests and views have to be taken into consideration towards the development of a successful and viable housing development framework. Mere legislation with draconian penalties without the buy-in of the concerned stakeholders is not likely to succeed.